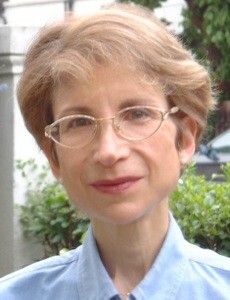 Jenny Kingsley is a journalist, writer and community worker. She is American by birth. For most of her adult life, Jenny has lived in London with her husband and two sons. Jenny received her first degree in social anthropology from the London School of Economics. She has a Master’s degree in Government from Georgetown University, a Master’s degree in Creative and Life Writing from Goldsmiths College and a French proficiency diploma. Jenny’s work has appeared in British and American publications – newspapers, women’s magazines, and literary and specialist magazines including The Art Book, Blackmore Vale Magazine, The Berkshire Eagle (‘Letter from London’), Church Times, The Daily Telegraph, The Financial Times, Pen Pusher, Petits Propos Culinaires and South Bank Poetry. For many years, Jenny wrote features regularly for the online arts journal Cassone. Jenny has also undertaken considerable charitable community work and, indeed, she used to be an elected politician, serving as a councillor in the borough of Kensington and Chelsea. Jenny also ran for parliament. She is a working committee member for the UK Friends of the National Museum for Women in the Arts, Washington DC (UK Friends of NMWA); this organisation highlights the work of contemporary and historic women artists. Jenny is a Trustee of the St Bartholomew the Great Heritage Trust and a magistrate. For more information about Jenny, please refer to her CV. Please feel free to contact Jenny Kingsley at jennykingsley@mac.com. If Jenny has used any images in breach of copyright, forgive her, and note that she will remove such material at the request of the copyright holder.